Seeing as we’re going to be giving you an insight into a season alongside Team Falken UK we thought you should maybe know a bit more about the guys behind the wheels and how 2010 panned out for them. Paul, Matt and Alan have all been using S14s in the BDC and other championships for a few years, under the ‘Team Green’ team name, 2010 was to be the first season with the full backing of Falken Tires and as such a new colourway was needed. 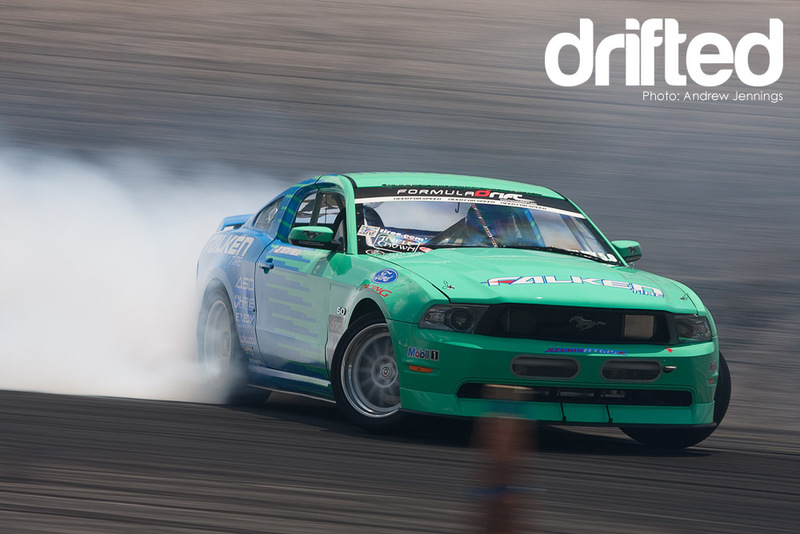 Now I don’t know about you but the Falken livery has always been one of my favourite race-car colourways, instantly recognisible and pretty timeless, take Vaughan Gitten Jnr’s Mustang for example, piloted here by Justin ‘JTP’ Pawlak in Formula D.
With the aid of sponsors EPRacing, all three S14s were kitted out with a Supermade Instant Gentleman kit and treated to D-max bonnets and S15 front ends. 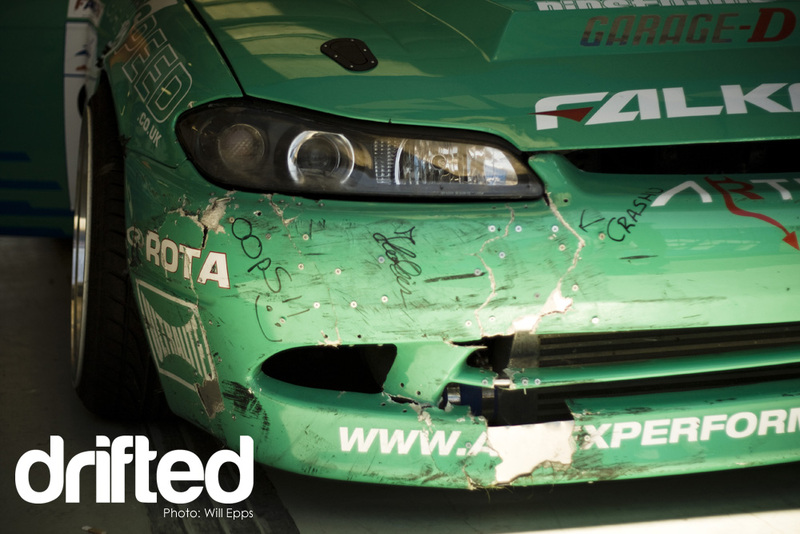 The Instant Gentleman aero isn’t a conventional drift-car choice, almost being quite conservative I dare say, so to combat this, all three cars were treated to aggressive rear wings on custom stays. 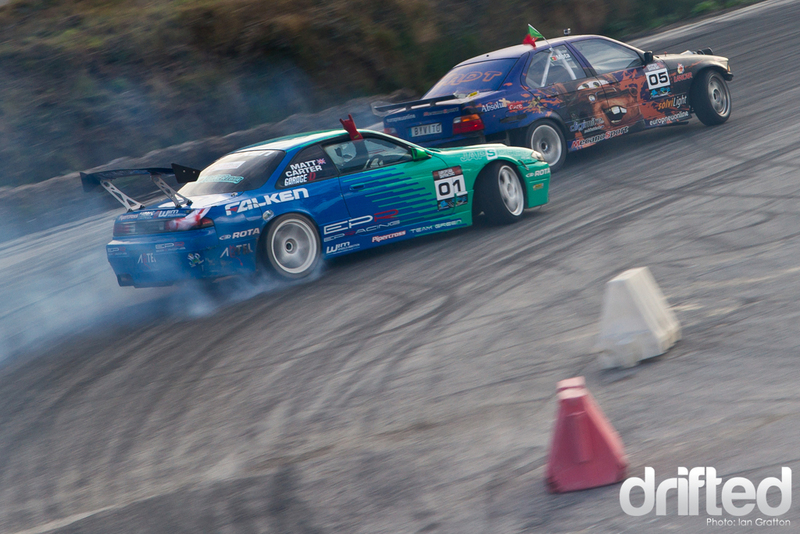 The guys drive their cars hard, and when it comes to tandem/team drifting, CLOSE. 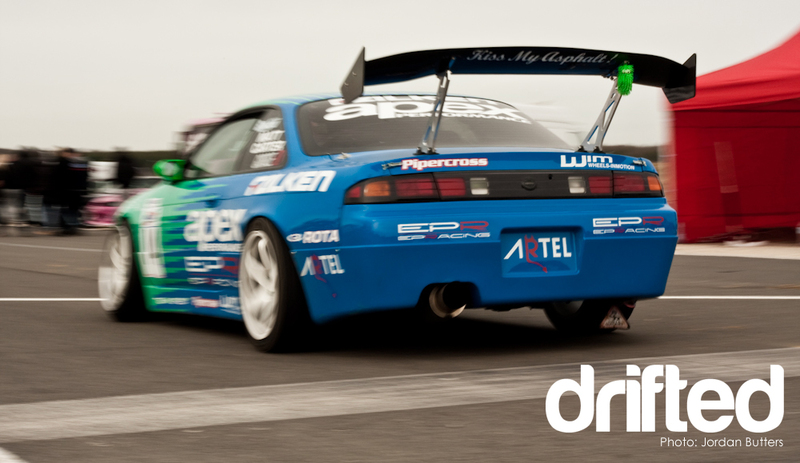 2009 saw them win the BDC Team Drift event title with some amazingly close driving. Sadly during the 2010 event Alan’s car blew it’s turbo and due to a freak steering snap-back when Polo and Matt’s front wheels touched, Polo ended up with a broken wrist! Faced with a 33 point deficit from being a driver down and Polo driving one-handed they still gave it their all, at one point Polo and Matt running close enough to reach out and almost grab each other’s wing mirrors! 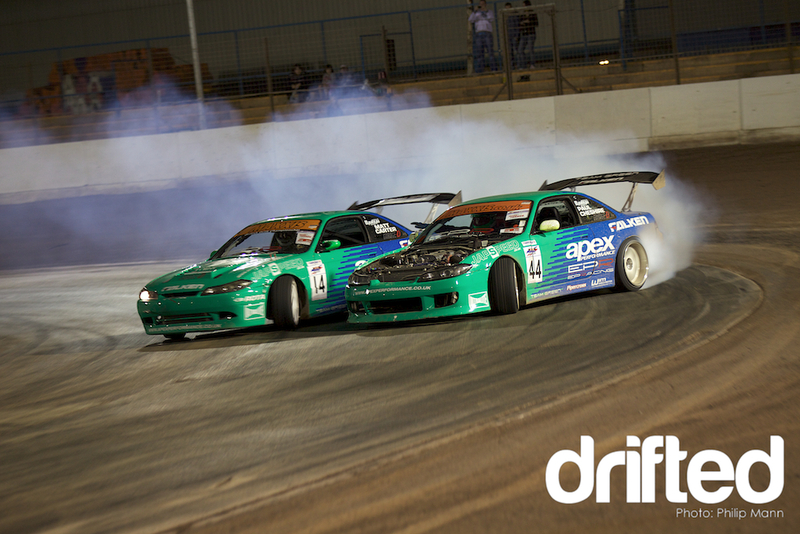 September saw the CPD Drift event in Lousada, Portugal and Matt Carter returned to defend his 2009 champion’s crown. Which he did! Taking the win and the prize fund for the second year running! Now the 2011 is almost upon us the guys are busy in the workshop making repairs, changes and even building new cars in Polo’s case! 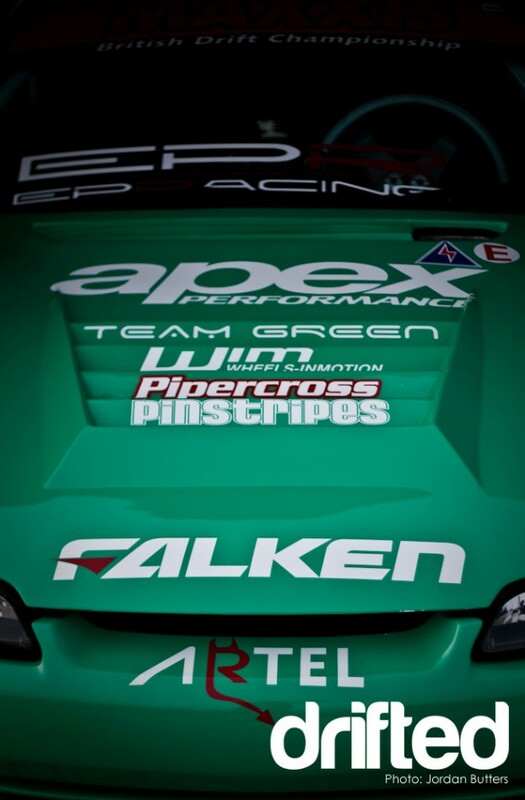 Check out the Team Falken Facebook page for regular updates on their progress! More to come soon….